Tired of waiting on word from across state lines, Ohio managed to find their own forecasting groundhog back in the 1970s. Hailing from Marion, Ohio, Buckeye Chuck is said to be accurate about 75 percent of the time. His 2016 verdict: Six more weeks of winter. 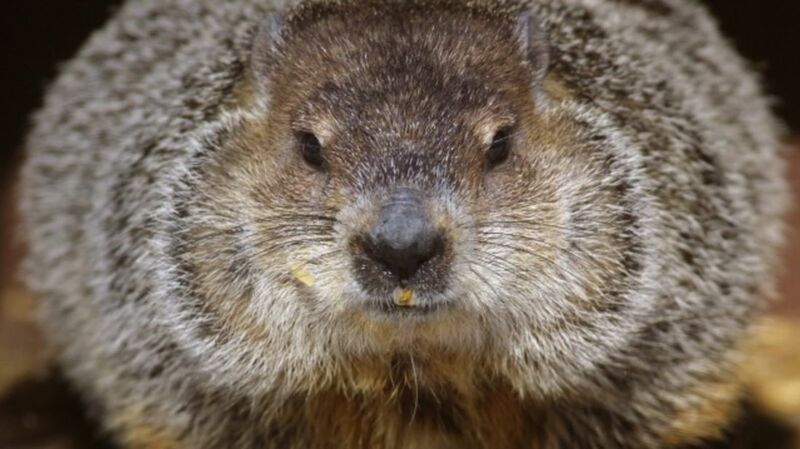 General Beau is likely the only groundhog with not one, but two honorary doctorates. His degree from the University of Georgia declares that he is a "Doctor of Weather Prognostication", while Georgia State bestowed a "Doctor of Southern Groundology" title upon him. As befitting of any grand Atlantean, General Beau has his very own version of Tara. His 2016 verdict: Early spring. Despite the fact the Balzac Billy in Alberta, Canada, is just a dude in a groundhog costume crawling out of a mulch pile (or perhaps because of it), "The Prairie Prognosticator" boasts about an 80 percent accuracy rate. His 2016 verdict: Early spring. This little guy, whose formal name is Charles G. Hogg, is notorious for nipping Mayor Michael Bloomberg during the 2009 prediction ceremony at the Staten Island Zoo. His 2016 verdict: Early spring. Willie, an albino groundhog, has been predicting the weather since the 1950s—even though he was nothing but a fur hat back then. The story goes something like this: In 1957, a fellow named Mac McKenzie used Groundhog Day as an excuse to throw a boozy bash for his friends. Reporter Frank Teskey somehow got wind of the affair and misinterpreted that there was a big Groundhog Day festival in Wiarton, Ontario. When he arrived and discovered that the gathering was just a few guys drinking with no groundhog in sight, Teskey complained that he was going to be in trouble for having no story. In response, McKenzie grabbed a white fur hat from a female party-goer, half-buried it in the snow outside, and declared that Wiarton was home to a rare albino groundhog. The legend has grown, and now thousands of people show up yearly to celebrate Wiarton Willie, who has been upgraded from a fur hat to a real, live groundhog. His 2016 verdict: Six more weeks of winter. Thanks to Nova Scotia's time zone, Shubenacadie Sam at the Shubenacadie Wildlife Park is the first to make a prediction for North America every year. His 2016 verdict: Early spring. Queen Charlotte the groundhog made her public debut in Charlotte, North Carolina, this year. Though she predicted six more weeks of winter last year, she did so in a private ceremony—at the time, the Queen was new to the limelight and wasn't ready to perform in front of a crowd of onlookers. Her 2016 verdict: Early spring. It seems that Jimmy the Groundhog from Sun Prairie, Wisconsin, wasn't too thrilled about coming out of hibernation last year. When Jimmy's handler held him up to Mayor Jon Freund's ear to "whisper" his weather findings, the groundhog gave the mayor a little nip on the ear. Jimmy didn't get the chance to get so up close and personal this year—he had to stay in his cage for the official announcement. His 2016 verdict: Early spring. Chuckles the Groundhog makes her predictions live from the Lutz Children's Museum in Manchester, Connecticut. They're currently on Chuckles VIII, an orphaned groundhog who was sworn in to her position in 2013 using a copy of the Farmer's Almanac. Her 2016 verdict: Early spring. Polk County Paula, a groundhog mascot from Des Moines, predicts the weather and distributes free bottles of Miller High Life. It probably helps the "more winter" predictions go down a little easier. Her 2016 verdict: Early spring. Good news: Early spring has the majority. Happy Groundhog Day!